For over two decades, SMS has been a pioneer in designing and manufacturing cutting-edge steam trap products that meet the mandates and operational needs of our customers. Today, our innovative technology enables a growing number of clients to boost their energy efficiency and reduce operating costs while minimizing their environmental impact. SMS’ TECH-FITT® suite of steam traps is engineered to overcome the challenges that plague conventional steam traps. 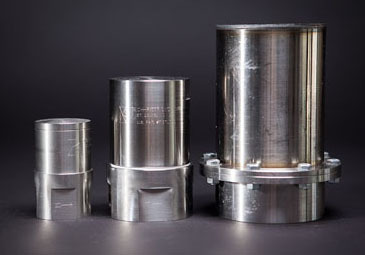 Each of our four types of stainless steel traps is modular, interchangeable and fatigue resistant, delivering high performance over a lifetime while reducing the need for maintenance or replacement. In addition, we provide the highest quality training and product support ensuring that your team benefits from SMS’ technology and best practices in optimizing steam energy across buildings and complexes. The result? Customers enjoy maximum thermal transfer and ultra-low maintenance costs over a lifetime. At SMS, we help our customers leverage our technology to gain unmatched cost-efficiency and operational reliability along with a reduced carbon footprint. At SMS, our innovative products reflect an unwavering commitment to delivering value by solving the toughest challenges of our clients. Today, after two decades, we’re more committed than ever to leading the way in harvesting efficient steam energy. Find out about SMS’ TECH-FITT Platform™ of innovative steam traps and our innovative suite of products and solutions. Let’s talk about how SMS technology can help your company meet its business objectives.